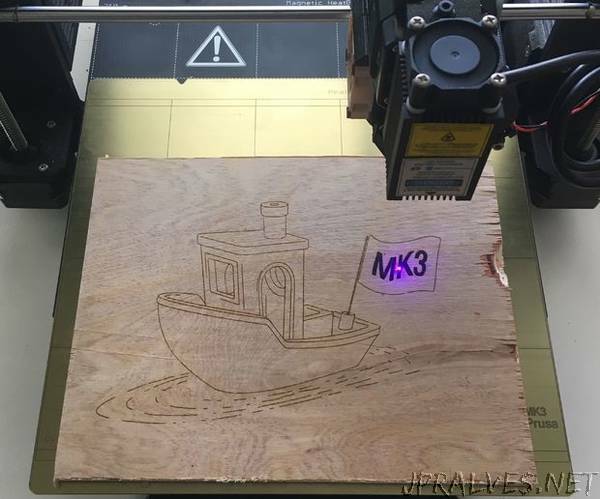 “Yes, your 3D printer is totally capable of making awesome laser engravings. Follow along to see how I did it. Hint: it’s not complicated (well, probably just a manageable amount), and I created tools to make it easy for beginners and advanced skill levels to jump in and laser away. There are many steps and I included a lot of details. I want to be sure you understand why and how things are happening. Disclaimer: Lasers are very dangerous, so you need to use proper care and basic common sense to not get in trouble. I warned you, I will not be responsible if you shoot down a space pirate… or lose an eye. Arrr.